Is a practicing Chartered Accountant for the past seventeen years handling various clients at all levels. 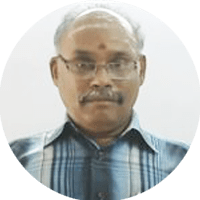 He has conducted classes in Finance and Financial Management for over 20 Institutes and has conducted training for Chartered / Cost Accountancy Students for over 20 years. He holds a M.Com and a CA and has handled training on Financial Management, Security analysis, Portfolio Management, Management Accounting, Quantitative Techniques and more.